SENRUG believes inter-city fares should be simplified, with restriction conditions easier to understand, and the price of tickets purchased “on the day” for lightly used trains significantly reduced. SENRUG believes the current fares system is much too complicated. 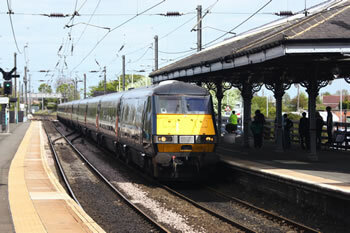 Many passengers are put off from travelling by train because fares are perceived to be significantly higher than the actual cost of Advance Tickets booked well in advance. Whilst SENRUG understands Train Companies will want to offer cheaper fares for less busy trains, which is a valuable means of managing congestion, SENRUG does not accept such tickets must be purchased in advance. SENRUG believes this is unfair to those obliged to travel at late notice eg to visit a sick relative, and is like a tax on misery. SENRUG also believes a simpler, more transparent fares system will make train travel more attractive and enable Train Companies to avoid the negative perceptions many passengers now have of low cost airlines. SENRUG recommends that for any rail journey, there should be 3, and only 3 fares for each class of travel. SENRUG proposes these should be called Red, Amber and Green, with Red being the cheapest but severely restricted tickets, Amber being mid price range but with some restrictions, and Green being fully flexible but more expensive tickets. To support the simplification of the fares system outlined above, we believe a number of fare guarantees should also be introduced. If a rail company breaks one of these guarantees then they should be obliged to issue an instant cash refund of the fare paid to the customer. The Train Operators could either introduce such a system voluntarily working through an umbrella organisation such as ATOC (Association of Train Operating Companies), or the Department For Transport could specify the system and require Train Companies to comply with it as part of their franchise commitment.